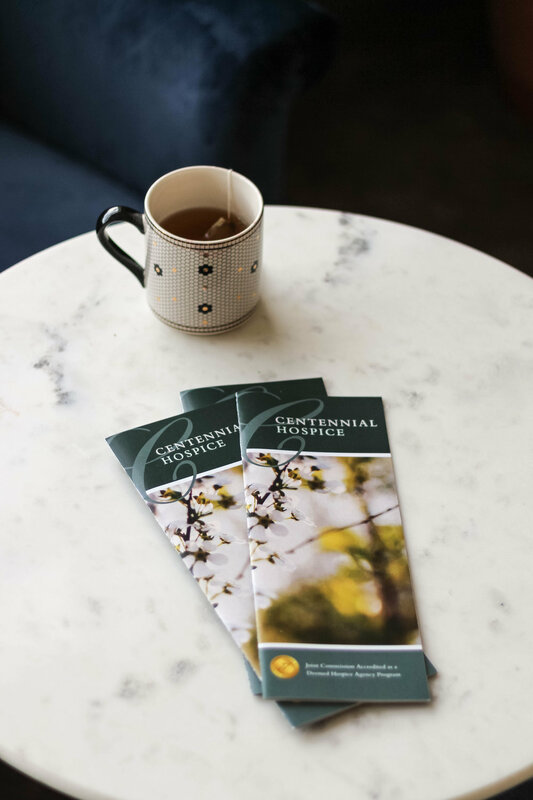 Centennial Hospice has been providing care for families and individuals in Oklahoma since 2006. 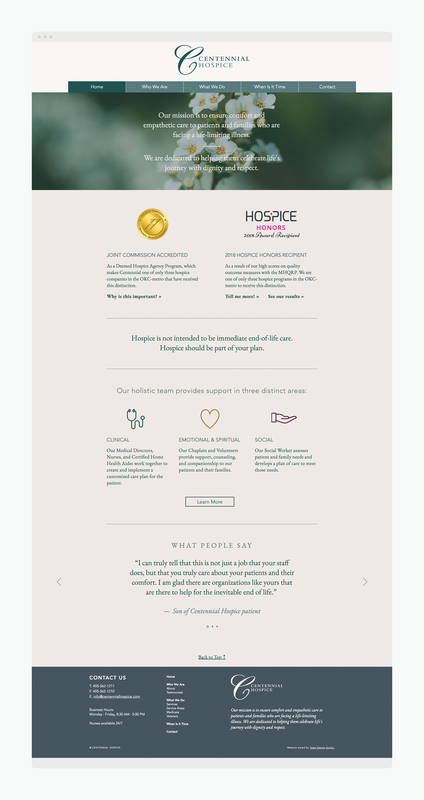 Under new management, the company sought our help to better communicate their company values and mission, while providing clarity about the purpose of hospice care. 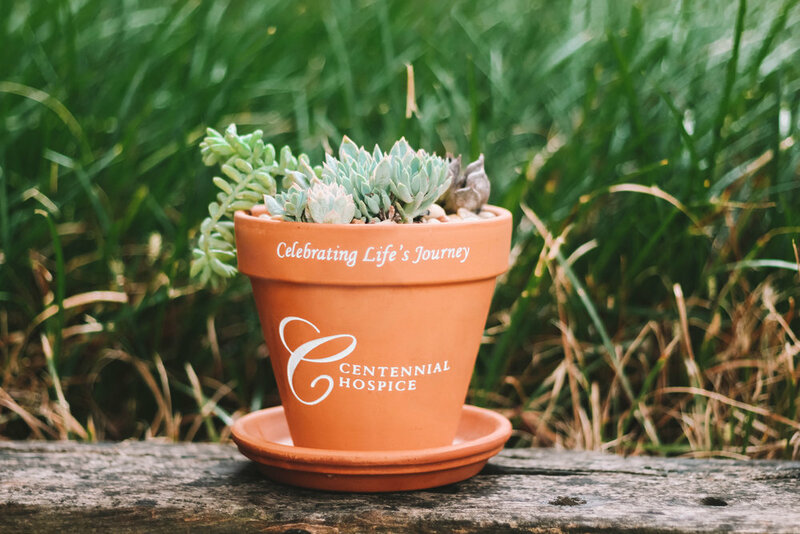 The core mission of Centennial Hospice is to provide comfort and care with dignity. However, their existing logo was sharp and harsh and did not reflect the warmth and relief provided by their team, so we began with a simple but impactful refresh of the identity. 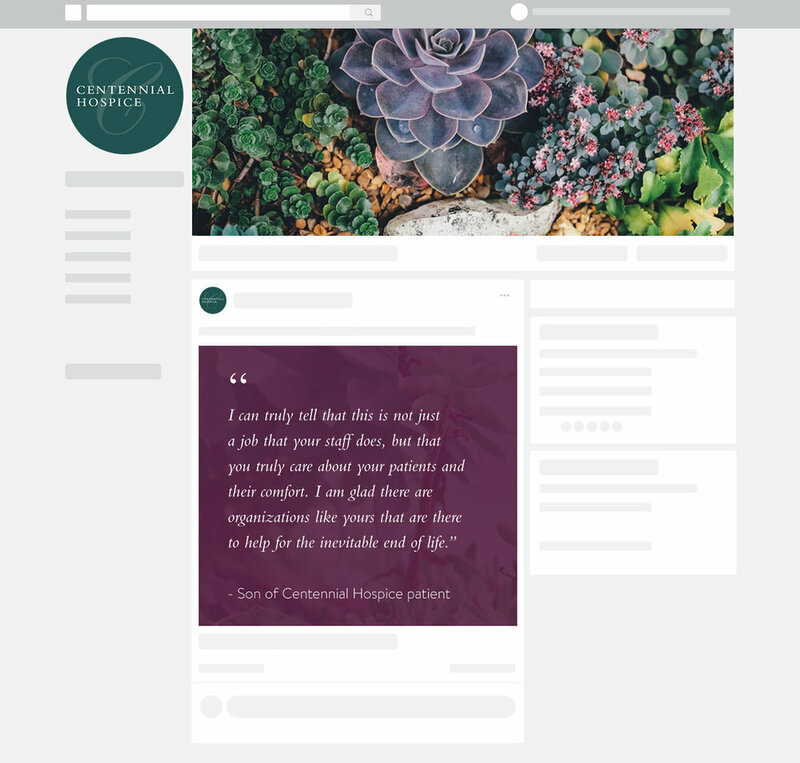 We redrew the C of the original logo to increase legibility without sacrificing elegance, we softened the typography, and we pulled color palette inspiration from succulents, which represent the resilient yet ephemeral nature of the human experience. 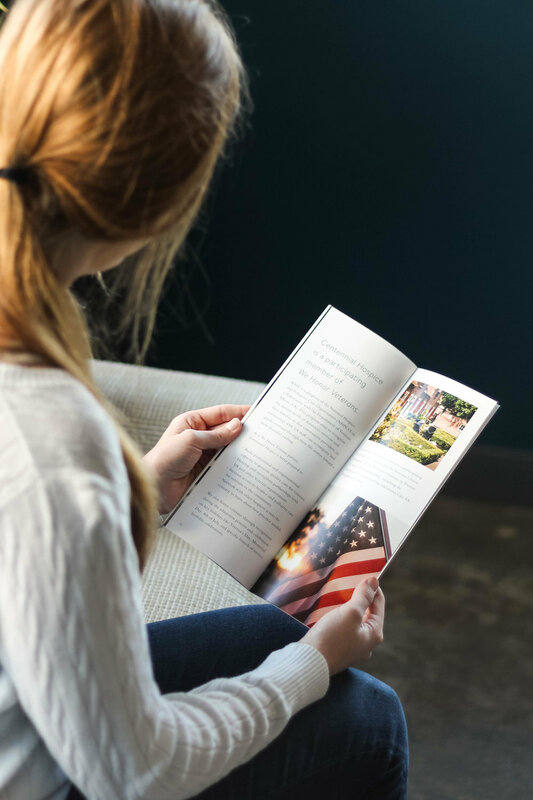 We infused everything with a sense of calmness, clarity, and soul, choosing imagery that hinted at the stories of lives well lived. 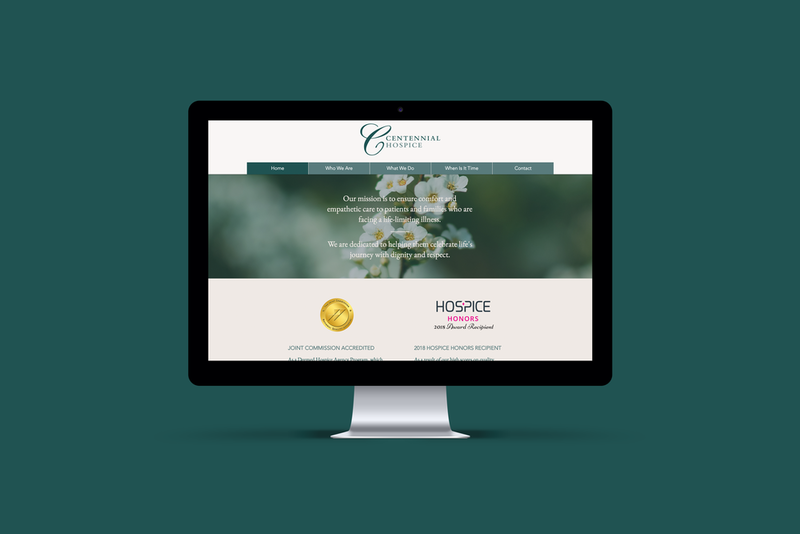 Choosing a hospice company is a highly emotional experience, so it was important to us that all Centennial Hospice materials be comforting, yet direct and compelling. 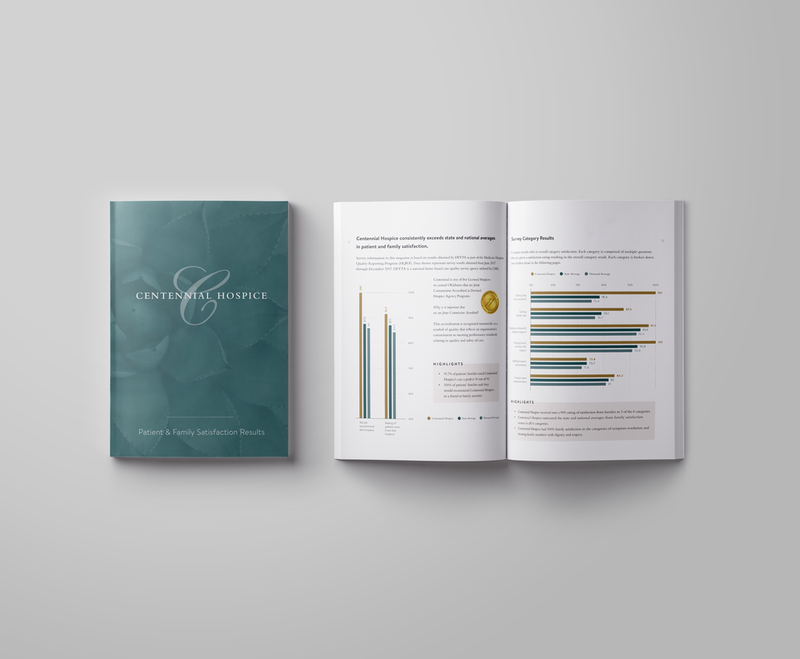 We needed patients and their families to connect on both a logical and an emotional level, so throughout all materials, we mixed client testimonials with industry survey data to prove Centennial Hospice’s reputation for excellence.